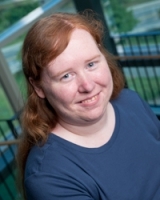 Dr. Joan Beasley is a Research Associate Professor and Director of the Center for START Services at the UNH Institute on Disability. She holds a Ph.D. in Social Policy from the Heller School at Brandeis University, and a Master’s degree in Community Mental Health Counseling from Northeastern University. Dr. Beasley has authored and co-authored numerous publications in the field of MHIDD, and provides training in the US, Canada and Europe. She serves as co-chair of the Mental Health Special Interest Group of AUCD. Dr. Beasley is the author and co-founder of the START program, first implemented in 1988, and has worked to promote the development of effective services for people with disabilities and their families for more than 35 years. START was cited as a model program in the 2002 US Surgeon General’s Report on mental health disparities for persons with intellectual/developmental disabilities and in 2016 the model was identified as best practice by the National Academy of Sciences Institute of Medicine. Dr. Karen Weigle is a clinical psychologist with over 25 years of experience working with people with Autism and other Developmental Disabilities and their families. As the Associate Director of the Center for START Services, she facilitates program implementation, provides expert training and consultation services, and conducts research. Dr. Weigle is also a founder of and clinician at the Chattanooga Autism Center in Chattanooga, Tennessee. She has extensive experience working as part of an interdisciplinary team and in several medical specialty clinics and wards, and has provided assessment and intervention services in a variety of contexts including in-home, school-based, clinic-based, agency-based, hospital-based, and community crisis response. She has previously directed or co-directed programs that provide services spanning East Tennessee and oversight of a large number of service providers. Dr. Weigle has experience in training family practice and medical specialty residents, special educators, community-based services providers, families, Early Intervention Specialists, and laypersons. Her teaching experience varies from undergraduate psychology courses to special education graduate-level seminars. Jill Hinton, Ph.D. is a Clinical Psychologist with over 30 years of experience working with people with intellectual disabilities, autism spectrum disorders, and mental illness. As the Clinical Director of The Center for START Services, Dr. Hinton provides consultation and training to START teams across the country and facilitates a monthly practice group for START program clinical directors. She currently serves as Project Manager for New York and is actively supporting the NY Region 1 team, as well as providing support for the implementation of NY START in Regions 4 and 5. Linda joined the Institute on Disability in 2003 bringing with her over 20 years of experience in providing direction and support to people with developmental and psychiatric disabilities in the community. 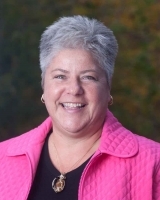 Working for the Commonwealth of Massachusetts, Departments of Mental Health and Mental Retardation (now Developmental Services), and later with non-profit organizations, Linda has provided leadership and vision in the establishment of homes and employment opportunities for people with disabilities. She is a creative thinker, disciplined analyst, and forward-moving manager who can mobilize resources, mediate conflicting interests and achieve strategic visions of organizations and the constituencies they serve. She is currently serving as the Acting Director of the Institute on Disability. Andrea is a licensed clinical social worker with more than 10 years of experience in field of social work. She specializes in serving children and adults with intellectual and developmental disabilities and co-occurring mental health conditions. Andrea has experience in practicing and training other clinicians in crisis prevention and intervention, systems theory and systemic consultation, the use of positive psychology approaches and effective treatment of mental health issues for individuals with intellectual and developmental disabilities. Andrea has worked with the START program since its inception in North Carolina in 2009. She has held positions with in the program including START Coordinator, START Clinical Team Lead as well as NC START Clinical Director. L. Jarrett Barnhill, MD, recently retired, was a professor of psychiatry at the University of North Carolina School of Medicine. Dr Barnhill is the 2008 recipient of the Frank J Melanoscino Award from NADD and the 2012 Melanoscino award from the American Psychiatric Association. He played a major role in the development of the Diagnostic Manual for Intellectual Disability (DMID), serving on the International Advisory Board and section coordinator for the section on Childhood and Adolescence. He is a co-editor of the Diagnostic Manual-Intellectual Disability-2. Dr. Barnhill served on the Autism and Developmental Disabilities Committee of the American Academy of Child and Adolescent Psychiatry. Bob joined the Institute on Disability in 2011 after working as the Director of Residential Services for a large human services company in Massachusetts. Bob has worked to develop cutting-edge residential services to individuals with significant medical and mental health disabilities as well as developing unique services focused on end of life care for individuals with Downs Syndrome and dementia. Working closely with Dr. Joan Beasley in Massachusetts, Bob was instrumental in the development and operation of the first START Services model in Massachusetts, and would later help to operate the Sovner Center a community mental health clinic specializing in progressive treatment for individuals with intellectual disabilities and mental health issues. Bob brings over 25 years of human services, clinical, and supervisory experience to the Institute on Disability. Beth joined the Institute on Disability in 2015 after working as the Case Management Supervisor at a New Hampshire Area Agency serving individuals with developmental disabilities, Traumatic Brain Injuries, and behavioral health needs. Previous to her position as CM Supervisor, Beth became a certified START Coordinator and served as the START Team Leader for the New Hampshire START Program at Community Bridges. Beth has presented at the annual START National Training Institute as well as at serveral NADD (National Association for the Dually Diagnosed) conferences. Beth has experience in the coordination of services within the field of mental health & intellectual/developmental disablities, training development and delivery, systems development, and leadership. Alyce Benson is a Licensed Clinical Social Worker with over 18 years experience working with adults, adolescents, and children with developmental disabilities and co-occurring mental health disorders. She received both her bachelor’s and master’s degrees in social work from the University of Tennessee, Knoxville. Ms. Benson specializes in working with individuals who present complex behavioral, medical, and psychological issues, and has extensive experience working in numerous community-based settings and with numerous interdisciplinary teams. She has provided seminars at both national and international conferences for NADD and AAMR. She is a member of the National Association of Social Workers and National Association for the Dually Diagnosed. Lauren Charlot, LICSW, PhD is a Developmental Psychologist, who has been working with individuals with Intellectual and Developmental Disabilities (IDD) and severe co-occurring psychiatric disorders and challenging behaviors, for over 30 years. Dr. Charlot is a Co-Chair of the National Center for START Services Research Committee and a member of their national team. She is an assistant professor of psychiatry at the UMass Medical School and an adjunct professor at Eastern Carolina University. She has published original research, and has lectured widely on a variety of topics related to the care of individuals with IDD (Intellectual & Developmental Disabilities) and ASDs (Autism Spectrum Disorders) across the United States, Canada and in Europe. Luke is an Assistant Professor in the Department of Neuropsychology and the Center for Autism and Related Disorders at the Kennedy Krieger Institute. He also serves as Co-Chair of the START research committee. Dr. Kalb’s research focuses on improving mental health outcomes among vulnerable populations, with a particular focus on youth and individuals with a developmental disability. His primary research interests involve understanding the phenomenology, epidemiology, and treatment of mental health crises. 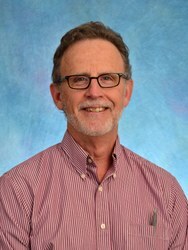 His research portfolio also extends to assessing the effectiveness of community-based mental health programs, psychometrics and measure development, developing methods to address selection bias, and use of health information systems and emerging technologies to improve clinical care and research methodologies. Anne La Force is the Clinical Director for the NC START Central Program and a member of the National Consultant team for the Center for START Services. Anne is a clinical psychologist with over 17 years of experience in the fields of intellectual/developmental disabilities and mental health conditions. She specializes in providing assessment, consultation and intervention services for adults with developmental disabilities and co-occurring behavioral health issues. Anne also provides training and consultation to community-based providers on multiple topics including dual diagnosis, crisis prevention and planning, trauma, and positive behavioral supports. As a Department Manager of Specialized Services at Sound mental health in Seattle, WA, I manage all IDD services and agency wide Vocational Services. Our Community Networks Program consists of a 30 person, interdisciplinary staff team involved in the provision of mental health, vocational, chemical dependency, solution based systemic problem solving, and case management for individuals with intellectual and developmental disabilities. Monitor, facilitate and fulfill contracts with county and state divisions of mental health, substance abuse, and developmental disabilities. Our Vocational Team, SoundWorks, is integrated into all mental health clinical teams and those 10 individuals oversee Supported employment for all SMH clients. Over the past 11 years at the Institute on Disability, Mary Ann has served as a conference coordinator, and Assistive Technology Project Support, and currently as Senior Program Support for the Center for START Services. Prior to joining the IOD, she spent 13 years working in the public school system in Concord, NH as a paraprofessional. Lindsay joined the Center for START Services at the IOD in September, 2016. As communications coordinator, Lindsay develops and implements the Center’s communication and marketing strategies. Prior to joining the IOD, Lindsay worked for Wayfair.com in Boston during its start-up years as CSN Stores in the customer service, marketing, and IT departments. Anne Marie joined the Institute on Disability in September of 2017 in a part-time capacity as an Event Coordinator for RENEW and is now a Senior Program Support Assistant for the Center for START Services supporting national quality assurance and training initiatives. Prior to the IOD, Anne Marie spent thirteen years at a large insurance company in Human Resources and Claims. For the past fifteen years, Anne Marie was self-employed as both a marketing consultant to small businesses and a private piano instructor. Diann Joined the IOD in 2010 as a part-time adjunct managing IOD’s fee for service contract billing. As the demand for the IOD’s Consulting Services expertise grew, Diann’s breath of work experience in Contract Administration, Financial Reporting and Reconciliations and General Accounting (Receivables and Payables) was a perfect fit for the growing role. Among other positions, Diann served as a Commercial Construction Lending Contract Administrator and Property Manager in the Mortgage and Banking Industry, held several Financial Reporting and Finance Administration positions in the Private Sector, Sales and Corporate New Business Development in the Hospitality Industry, in addition to working as an Independent Contractor providing Bookkeeping services. Ann joined the Center for START Services in 2013 after working as the Director of Outcomes and Evaluations for a System of Care network in Cincinnati, OH. Ann has over 12 years of experience in the mental health and developmental disabilities service systems in both Ohio and New Jersey, including work on a government advisory council on disability issues and work on a New Jersey Governor’s Initiative program to help prevent the institutionalization of children with multiple disabilities. Her experience is mainly in the area of program outcomes and evaluation, but also includes work in program development, licensure compliance and quality assurance activities. Shannon joined the Institute on Disability in 2011 after working in educational assessment for a decade. Prior to the IOD served as a coordinator at an early childhood literacy program for NH Reads through Americorps*VISTA and was a paraprofessional & co-teacher for a special needs preschool/kindergarten in Wakefield, NH. She earned a BA in English and Teaching from the University of New Hampshire.